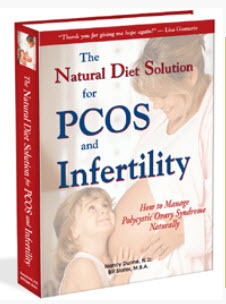 Besides chemical polllution, there are a number of very important environmental factors that can impact PCOS. Chronic and acute stress, both obvious and subtle. It could be anything, ranging from noise pollution to an unpleasant boss to child abuse to shame about how you look to frustration over not being able to start a family. Overexposure to antibiotics and other pharmaceuticals. They all have unintended or poorly understood consequences, especially in the developing phase of your life (conception to puberty). 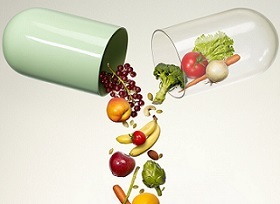 Besides taking them directly, some are present in your environment, such as in food products from animals and water. A sedentary life. With the advent of the automobile, TV and desk jobs, we have become quite sedentary. You can't optimize your hormone balance and your body can't function properly if you spend most of your life sitting on a chair or sofa. Energy pollution. I put this in last. It's speculative. But think about it. We're all bathed in energy waves of all types, from all directions, at all times, from computers, appliances, hair dryers, CT scans, x-rays, microwaves, smart utility meters, cell phones, radar, electric circuits, broadcast signals, etc. None of these existed in 1920. What are the long-term effects? Does anyone know? I did notice a study of mice exposed to radiation. The effect carried through to the second generation of offspring, even though the offspring received no radiation. One factor alone may not be sufficient to lead to the development of polycystic ovarian syndrome in you or your children. But taken together, there will be a problem. The symptoms and health outcome you have may be different from someone else because of the genetic background of your ancestors, the differing environments while you were in early development (conception to puberty), and your current level and type of exposure. 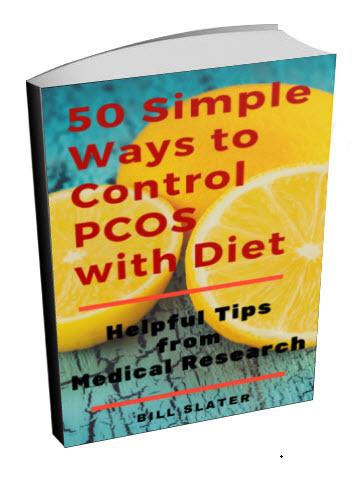 What Can You Do About PCOS? 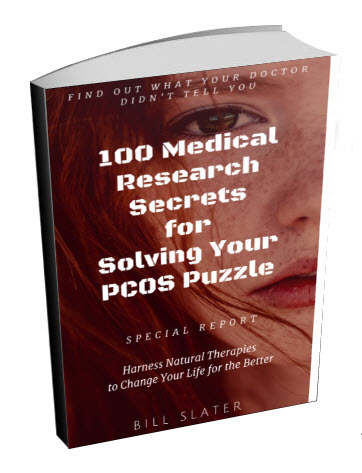 OK, so if PCOS is more complex than originally thought, and if we think its causes may be more diverse than originally thought, what will you do about it? It's easy to feel overwhelmed and end up doing nothing. In addition, the health authorities are failing at their job of protecting you and your doctor is not able to cure your condition. The only solution we know of is to thoughtfully examine your life and see where you can make changes to reduce the impact of the environmental factors described above. For example, notice how many servings of vegetables you ate today and yesterday. Was it five per day? If not, start to increase the vegetables in your diet until you reach five servings per day. Don't worry right now about the size of the serving. Just do the five servings. You can increase the size later. There are dozens and dozens of things you "could" do to minimize PCOS and prevent it in your daughter (from conception onwards). Just do one thing. And nail it as a habit. Then move on to the next thing. Maybe the next thing to do is notice your self-talk. Is your Inner Critic telling you what a freak you are and it's all your fault? If so, there are lots of good ways to handle this. Find a way that works for you. 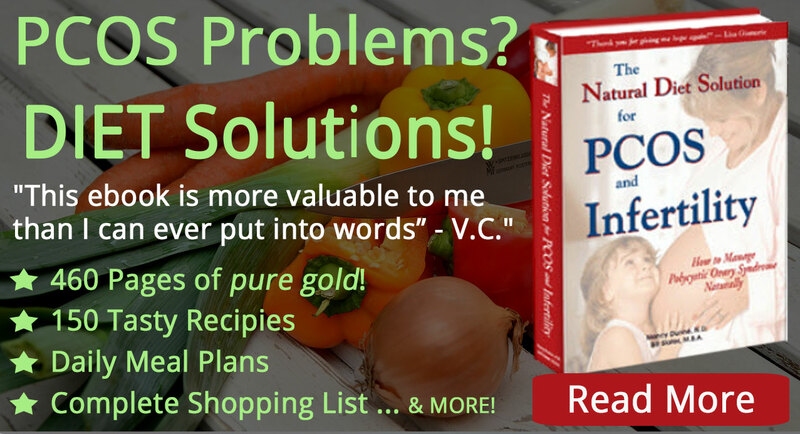 If you're still looking for ideas, The Natural Diet Solution for PCOS and Infertility e-book contains guidelines for reducing the effect of some (but not all) of these environmental factors. 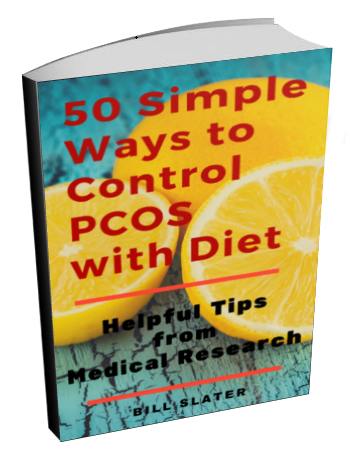 By the way, the Academy of Nutrition and Dietetics just released a study of women with polycystic ovarian syndrome showing that the type of diet in this ebook is effective in reducing insulin resistance (which is a partial cause of this disease). 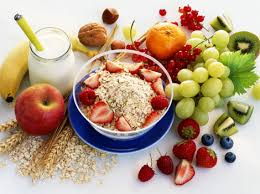 Source: Barr S et al, An Isocaloric Low Glycemic Index Diet Improves Insulin Sensitivity in Women With Polycystic Ovary Syndrome. J Acad Nutr Diet. 2013 S2212-2672(13)01111-8. Nutritional supplements can also play a supportive role in mitigating some of the environmental impact, and in helping your body get back into a state of balance. We can't wait while researchers struggle to understand what polycystic ovary syndrome is and how to manage it (or even prevent it!). We each have to get on with our lives. The key to managing polycystic ovarian syndrome is to be very self-aware and aware of everything in your environment. Every moment presents us with choices. If a co-worker offers you a chocolate chip cookie, what is your next move? If it's 5 p.m. and you haven't yet exercised, what is your next move? If your boyfriend says he's leaving you, what's your next move? 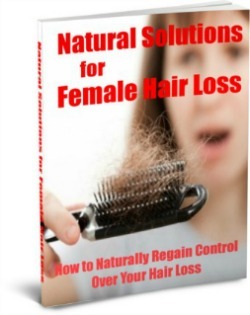 If you feel overwhelmed by PCOS, what is your next move? The process of making "the right choice" a thousand times is how you defeat it.